Since the Manitoba Marathon is coming up, I thought I would share some of the research I did for the foot race scene in Put on the Armour of Light. 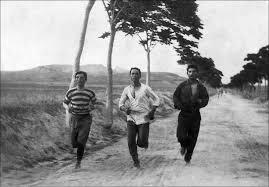 The first modern Olympic Games in Athens in 1896 featured a race from the town of Marathon to Athens and this race sparked renewed interest in long distance road races. However, the Hamilton Around the Bay Race, at 30 kilometres, was first run in 1894, two years before the Athens marathon and three years before the first Boston Marathon. It took a while for other cities in Canada to follow Hamilton’s lead. Early running competitions in Winnipeg had taken place on the track at the Old Exhibition Grounds or at River Park during track and field meets. The maximum distance of these races was a mile and a half. And in fact, the running coaches of the day actively discouraged runners under the age of 18 from running longer distances because there was a danger, they thought, of a kind of career-ending burn out. Starting in 1905 the Winnipeg Telegram newspaper began sponsoring an annual 20 mile run from the Telegram offices on the corner of McDermot and Albert, down Portage Avenue to a point past Deer Lodge, where there was a turnaround. This race continued for at least eight years. During these years, Canadian runners were racking up wins in North American racing circles. 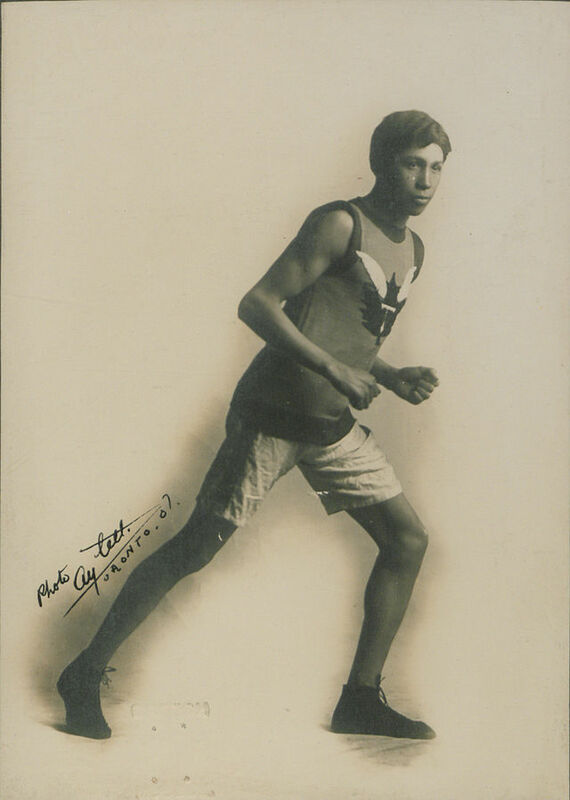 Tom Longboat, an Onondaga distance runner from the Six Nations of the Grand River First Nation Indian reserve near Brantford, Ontario, won the Hamilton race in 1906 and the Boston Marathon in 1907. He had a successful career as a professional runner, including a world championship, until his enlistment in the Canadian Army during World War I.
Winnipeg’s John D. Marsh was right up there with Longboat. In 1906, Marsh beat the Olympic champion, Alf Sherring, at a 5 mile exhibition race in Winnipeg. Marsh did well in the lucrative professional running circuit all over North American, winning, among other races, the All Canadian Marathon Derby in Toronto in 1909.